Raumfahrt+Astronomie-Blog von CENAP - Blog: Astronomie - OUMUAMUA WAS NEITHER COMET NOR ASTEROID...SO WHAT WAS IT? LIKE A HIT-AND-RUN driver who races from the scene of a crash, the interstellar guest known as ’Oumuamua has bolted out of the solar system, leaving confusion in its wake. Early measurements seemed to indicate that it was an asteroid—a dry rock much like those found orbiting between Mars and Jupiter. Then by this past summer, astronomers largely came around to the conclusion that it was instead a comet—an icy body knocked out of the distant reaches of a far-off planetary system. They also looked at ’Oumuamua’s rotation. Many asteroids tend to spin around their long axis like an expertly thrown football. ’Oumuamua, by contrast, tumbledslighltyfff like an errant pass by Charlie Brown. 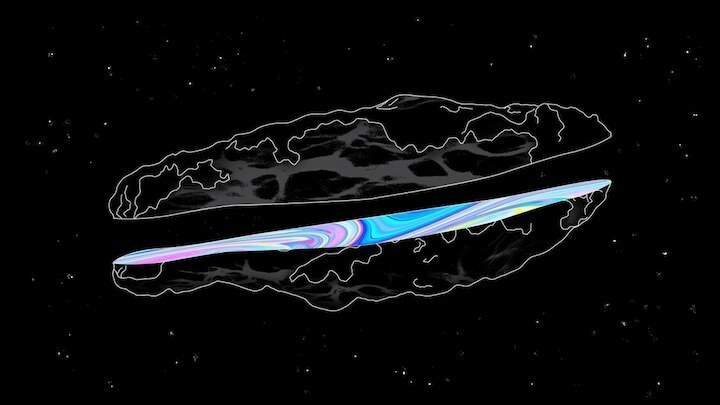 Astronomie - 'OUMUAMUA WAS NEITHER COMET NOR ASTEROID...SO WHAT WAS IT?